Here's a character I've had for quite a while. An anthro fennec dragon named Rochelle, who I used for early anthro practice. Rochelle is energetic and somewhat athletic. She can be kinda rude sometimes. She's also a bit of a perv, doing a few lewd things now and then. 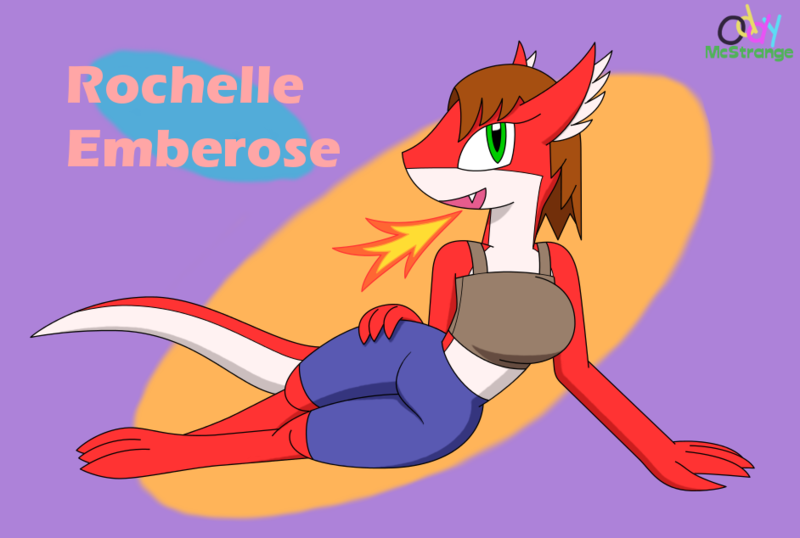 Rochelle is a fire dragon, though her last name already suggested that.